Soft fabric, lightweight. So many ways to wear it! Very Flattering, my bridesmaids love them. 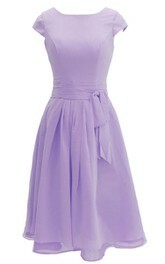 I like how universal the item is, but I think there should be instructions sent along with the dress. Super confusing at first. I know there is a YouTube video. But paper instruction would be nice as well. The item was shipped before time, arrived in time for Mother's Day. Alex also offered to add a handwritten note which was very sweet. No trouble with the purchase at all. This dress looked and felt cheaper than I expected. 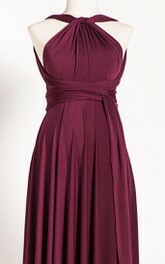 When I "tie" the dress, the leftover fabric is either awkwardly too long or awkwardly too short. I will play around with it more to see if I can find something that works. The material is very sheer, which I expected due to other reviews. 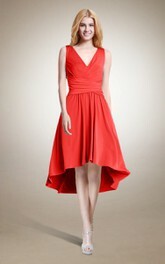 The color is great, but the quality of the dress is so-so. The item shipped and arrived much sooner than expected. The fabric is durable but thicker than expected so it is hard to not make the middle look bunchy when wrapping. The straps used for wrapping are also very long, which is good if you may need more fabric for wrapping, but some of my bridesmaids may have to cut the straps shorter. 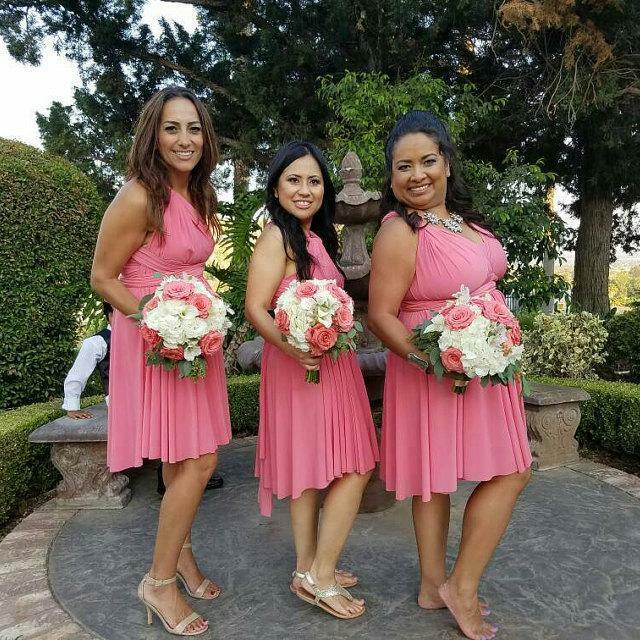 The dress fit all of my bridesmaids perfectly. 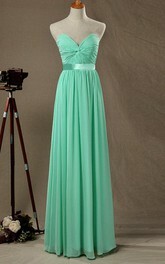 These are beautiful, we ordered 6 for my wedding!! Will post pictures after the wedding!! Alex is easy to get in contact with and gets back to you so fast. Will definitely refer this shop and will use them again in the future! Fabric is somewhat see-through. I had a very difficult time trying to figure out how to do the wrap. Seems like a two-person job and I live alone. Otherwise, very pretty and I got lots of compliments. 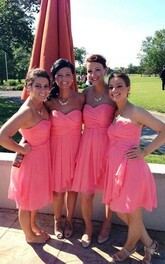 The dress actually came way earlier than I expected and it matched the other bridesmaids dresses perfectly. 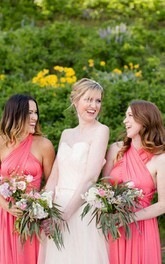 Using the dress as a bridesmaid's dress. These dresses are amazing! Arrived witin 7 days of purchasing so much quicker than expected. 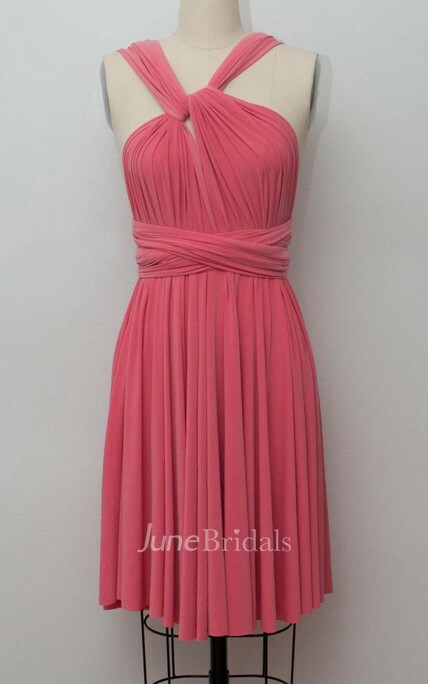 I bought these as bridesmaid dresses for my wedding in May, so excited! Very pretty dress and a great option for bridesmaids to be unique but still match. 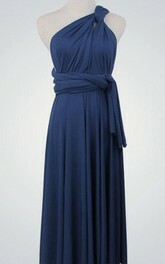 Beautiful dress, so versatile, great to deal with! Awesome! Can't wear without a slip, cheap quality. I absolutely love my dress. I was afraid I wasn't going to get it before the "reveal the dress" date but it actually came earlier than expected. 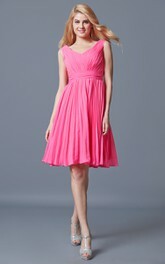 It is so many way to wear it and I'm excited about putting it on as a proud bridesmaid!!! I love it!! Thanks again junebridals.com!!!! I ordered 5 dresses on a Tuesday and they were at my house on Saturday! They're very light and comfortable! 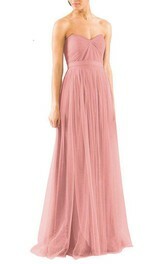 This is a good choice for a bridesmaid dress since most places will cost you $100+. The dress I got to sample was great. 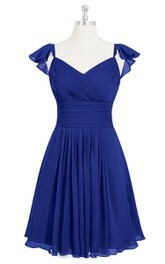 I'll be ordering in navy blue for my bridesmaids to wear at my wedding! 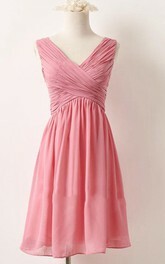 Great color, great dress, fast shipping. I wish I had used these for my wedding. 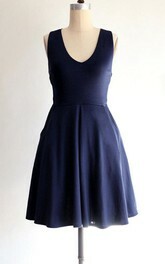 The versatility of the straps can make this a great dress for any occasion. 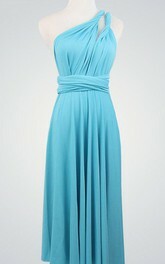 I bought this dress in two colors and love both the blue and coral. Well made. Price is right. But I did not like how it fit me. Tried several different variations and it was not very form fitting for my figure or taste. 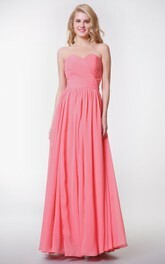 My bridesmaids are all wearing coral, and I bought this dress for my 14 year old sister to wear as a junior bridesmaid. We love it so far! Nice light material. A lot shorter than i expected but overall a good buy! 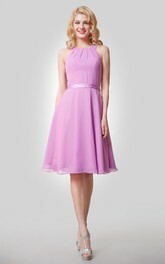 I needed a fashionable, affordable dress in a pinch since my friend asked me to be her bridesmaid at the last minute. I contacted Alex to see if I could get the dress quickly. She responded promptly and shipped it just a few hours after I placed the order! I'm all the way on the opposite coast (Southern California, to be exact), but I got it in just two days. This was much appreciated because time was of the essence. 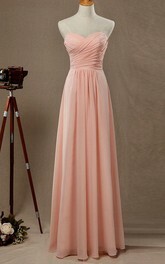 I had the bride order the same dress(es) for the other bridesmaids, and they also got them quickly. We absolutely loved them! The color perfectly matched the wedding decor. We loved how we could style them differently to suit our personal preferences and body types. On top of all those, we also got compliments. 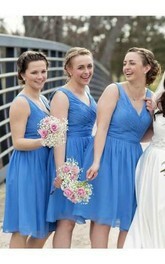 People kept asking us where we got the dresses from! They look especially good on camera.